In the wake of the World Environment Day 2018, EcoSphere - an NGO working in the area of environment conservation and awareness - will be hosting a seminar to discuss ways for creating awareness on the issue among the general public. World Environment Day is celebrated every year on 5th June and is the United Nation's principal vehicle for encouraging awareness and action for the protection of our environment. Themed as “We and The Environment”, the seminar will bring together some best known experts and speakers on the issue of environment conservation including Magsaysay Awardee Dr Rajendra Singh. The seminar will also take into account Indian ideology towards nature conservation. It will take place on 2nd June 2018 from 3.30 PM onwards at the Hansraj Gupta Sabhagar, 1st Floor, A-Wing, Dr. S.P. Mukherjee Civic Centre, New Delhi. The below mentioned speakers have confirmed their participation in the seminar. EcoSphere believes that the solution to environmental problems could be found in The Vedas. It talks about the five element by which our mother Earth is made up of. "The Pancha Mahabhuta" or "five great elements" are bhūmi (earth), ap or jala (water), tejas or agni (fire), marut - vayu or pavan (air or wind) and vyom or shunya (space or zero) or akash (aether or void). The time has come to take concerted efforts to protect each essential element of the environment. 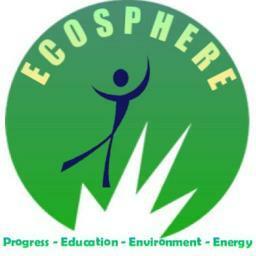 At EcoSphere, we believe that only mass awareness and education will help us our targets related to environment conservation. Taking care of these essential elements will only help us resolve the existing problems with the environment. This seminar, hosted by EcoShphere, will provide a forum for high-level discussion on key issues concerning the protection of the environment. Also, we encourage the youngsters to be a part of the celebrations and obtain the opportunity to share their ideas and activities for making our world cleaner, greener, better and brighter. So let us all pledge to do something, at least one single thing, as our contribution of the World Environment Day. EcoSphere’s series of the dialogue under “अथाह प्रवाह" has clearly evolved as the most important gathering of leaders from all over the world. It focuses on challenges of attaining sustainable development worldwide.